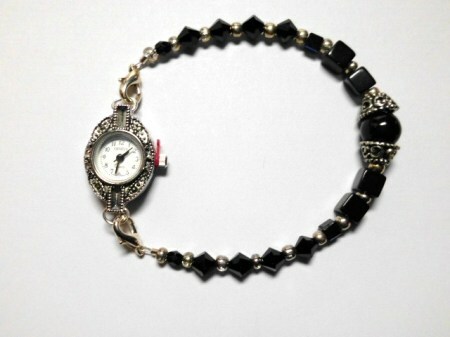 8.5" BlackCrystal silver Marcasite watch bracelet. Classic and classy! Swarovski 6mm black bi cone crystals,cubes and Marcasite watch bracelet.